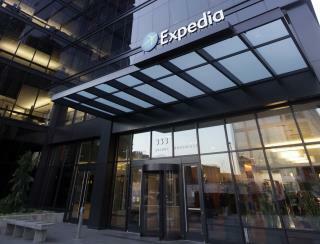 (Newser) – A Los Angeles-area teacher booked a New Year's vacation via Expedia, then responded to an online survey the website sent her about her booking experience. "I was honest," Cara Viramontes tells CBS LA. "I said, 'You know what, the lady wasn’t helpful. I asked to speak to a supervisor and she wouldn’t let me speak to a supervisor.'" Viramontes, whose beef had to do with being charged travel insurance for her 8-month-old son even though he doesn't require a plane ticket, got an email two days later telling her that her travel plans had been canceled. She logged back on to Expedia to check her itinerary—and found that not only had the vacation indeed been canceled, but she had been left a message, apparently from an Expedia employee, reading "F--- you!" Sometimes we customers should be nice to the customer service people that is helping us.their job is not that easy. Screaming at the agent would not gonna help you.. After all they are the people that is best positioned to help us. Treat them well if you want to be treated same way just saying ?????? Ah, the joys of traveling. Most big travel agencies are like this.